On June 12, Russia celebrates one of its youngest national holidays, Russia Day. Nominally a celebration of Russian statehood, the significance of the day is widely misunderstood, even within the country itself. What is the history of the holiday and how do Russians typically spend the day? June 12 marks one of Russia’s youngest national holidays, Russia Day. Twenty-four years ago, on June 12, 1990, the First Congress of People’s Deputies of the Russian Soviet Federative Socialist Republic (RSFSR) adopted the Declaration of State Sovereignty of the Russian Soviet Federative Socialist Republic, which declared the supremacy of the Russian Constitution and its laws. At first, this holiday was a paradox for many Russians. How were people supposed to celebrate the day on which their country lost its statehood? Then, a year later, on June 12, 1991, another landmark event occurred when Boris Yeltsin was elected president of the RSFSR. 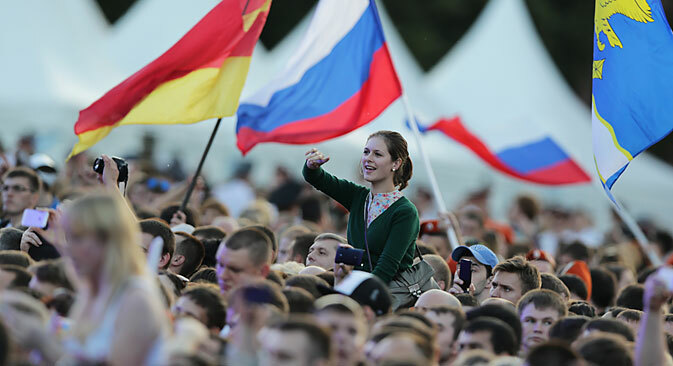 Vox Pop: Do citizens celebrate Russia Day? Whether or not Russia Day should be celebrated on June 12 remains an open question for many. Russia was an independent state for centuries, and attempts to label it a “young country, just 23 years old” seemed a little strange. According to political philosopher Alexander Dugin, Russia should celebrate its festival of self-identity on the day of its greatest achievement, dates in which Russian history abounds. “I think Russia Day should be celebrated on the day of some truly great victory; for example, victories over those who have threatened our historical existence, victories over occupants, victories over our existential enemies,” Dugin says. By proclaiming June 12 “Russia Day”, Putin made a compromise. Russia has not celebrated the adoption of its Declaration of Sovereignty since 2002. Now Russia Day is a festival dedicated to the country in general. Sociologists from the Levada Center polled 1,600 people on how they feel about this holiday. According to the poll, 44 percent of respondents thought that the holiday was called “Russian Independence Day”. Only 38 percent were aware that it is actually called “Russia Day”. One-fifth of respondents were unable to answer what entity Russia is independent from. When asked to express his opinion on the holiday, Oleg Rumyantsev, who headed up the working group that drafted the Declaration of Sovereignty, was melancholy. “This is the day of the foundation of the constitutional order. That’s why the current name is sort of unfortunate,” he said. What do Russians do on Russia Day? Women’s Day: Are you serious? In spite of all this, Russia Day remains not only a holiday, but a national day off work. People celebrate in a variety of ways. According to the Levada Center poll, 14 percent of working Russians plan to spend June 12 at home with their families, while 11 percent will spend the holiday at their dacha (summer house) or village. Another 11 percent intend to work. One in ten Russians plan to spend the day outdoors barbecuing or tanning. For 9 percent of respondents, Russia Day is no different than any other Saturday or Sunday, and another 9 percent want to take the day off to catch up on some rest. Five percent of respondents said they plan to stroll around the city or a park, and another 5 percent plan to travel abroad. Three percent of Russians plan to do something fun, and 2 percent simply want to sleep in. Two percent will spend their day off with friends or celebrate recent or upcoming birthdays. Eleven percent of respondents said they did not have any particular plans. For the majority of respondents, the most important thing is to spend the holiday in a “decent” way. What that means is up to each individual.